The Maine senator says she's pursuing legislation directly addressing the issue of family separation, but a critic says faster action is necessary at a time of crisis. Nicole Hernandez holds onto her mother June 13 as they wait with others in Tijuana, Mexico, to request political asylum in the U.S. On the Senate floor Monday, independent Maine Sen. Angus King said the White House created the family separation policy and could easily end it. Sen. Susan Collins called the federal government’s policy of separating children from their parents at the southern border “inhumane” and said she is seeking a legislative solution to the issue, even as the Trump administration doubled down on the policy Monday despite mounting criticism. As one of a handful of Republican moderates in the Senate, Collins is under intense pressure on the issue, and two rallies are planned for Maine in the coming week – Wednesday in Bangor in front of the office of Rep. Bruce Poliquin, R-2nd District, and next Monday in front of Portland City Hall. A protest last week in front of the U.S. Customs and Border Protection offices in South Portland that drew about 100 people was part of a national day of action against the Department of Homeland Security’s “zero tolerance” policy. Although Collins criticized the White House initiative and noted that the simplest and quickest solution would be for the administration to reverse course, she was unwilling to support legislation promoted by Democrats that would reverse it. All 49 Senate Democrats and left-leaning independents, including Sen. Angus King of Maine, support the bill by Sen. Dianne Feinstein, D-Calif., called the Keep Families Together Act. Collins said she can’t back Feinstein’s bill – calling it “too broad” – and is looking for a legislative solution that can gain support from Republicans and Democrats. The legislation that Collins is working on would specifically address the family separation issue and not be part of a sweeping immigration reform bill, her office said. “I have talked to Senator Feinstein and other colleagues on both sides of the aisle about this problem at the border and will continue to work with them on a legislative solution,” Collins said in the statement. Jessica Stewart, of Mainers for Accountable Leadership and a Catholic social justice advocate, said the family separation policy is a crisis that needs immediate attention. She criticized Collins for not moving more quickly. However, an immigration expert with the Center for American Progress, a left-leaning think tank based in Washington, D.C., said Feinstein’s bill would not hamper border patrol agents. “Nothing in the bill limits arrest authority at all,” Tom Jawetz, vice president of immigration policy at the center, said in a tweet. 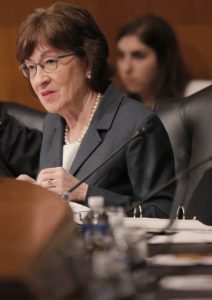 Collins also has supported bipartisan, comprehensive immigration reform bills, but those efforts have failed to pass Congress in the past several years. King, an independent who called separating children from their parents “an obscene practice,” said the White House created the situation and could easily end it. Prominent Republicans have criticized the Trump administration’s policy, with former first lady Laura Bush calling it “immoral” in a Washington Post op-ed. But so far, no Republicans in Congress have signed onto the Keep Families Together Act or introduced similar legislation. President Trump has been blaming Democrats or saying his hands are tied because of current federal law – both claims that have been proven to be untrue. Trump administration officials also have falsely said that children are not being separated from their parents at the border. 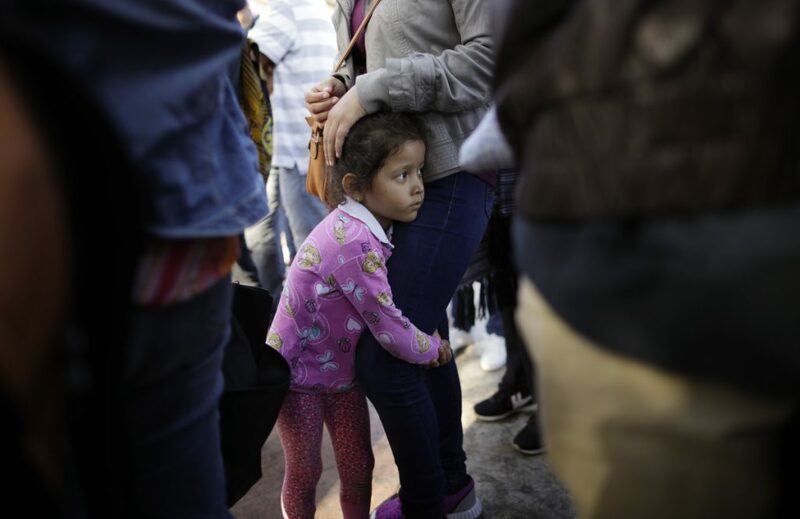 The Associated Press has reported that about 2,000 children – including infants and toddlers – were separated from their parents when crossing the border in April and May. Many are seeking asylum, which is a legal form of entry into the U.S. for refugees from countries where they are in danger from wars, persecution or violence. 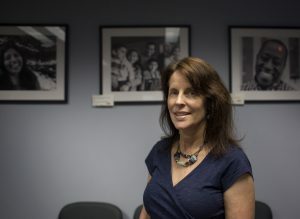 Susan Roche of the Portland-based Immigrant Legal Advocacy Project says the Trump administration’s family separation policy is creating fear in immigrant communities. “Everyone is afraid of being deported,” she said Monday. Susan Roche, executive director of the Immigrant Legal Advocacy Project, a Portland-based initiative that assists immigrants with legal issues, said the Trump administration’s “zero tolerance” practice contradicts decades of immigration policies under Democratic and Republican administrations. Roche said that before Trump became president, in most cases families crossing the border seeking political asylum would not be forcibly separated. If there were legal questions surrounding how they crossed the border, they would have their cases heard before civil immigration courts, she said. In those situations, families would not be separated unless there was an unusual circumstance. Roche said the practice may be violating international law, but the immediate impact is to harm children, create a humanitarian crisis and cause problems in immigrant communities throughout the U.S.
Rep. Chellie Pingree, D-1st District, told the Press Herald in a phone interview that criticism of the policy is accelerating. “This is an outrageous and inhumane practice. There is no question we could fix this this week if we could get votes on the floor. The votes are there,” Pingree said. Poliquin spokesman Brendan Conley said the congressman is reviewing the facts and policies surrounding the issue. Zach Rouda, who is organizing next Monday’s protest in Portland, said he was inspired by the news and the inhumanity of what’s happening. Rouda said he posted the event on Facebook believing it would be a small gathering, but it has attracted so much attention that he now is going to have speakers and receive help organizing the event.